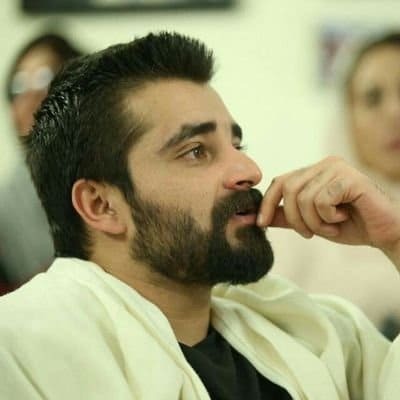 Famously known for being courageously outspoken and bold when it comes to sharing his personal opinions to the public, Hamza Ali Abbasi recorded yet another video message and uploaded it on his official page last night. This video was a message for the Pakistani Cricket Team (due to play today with England in the first semi-final of the ICC World Champions Trophy) in accordance with recent internet trolling, where users ridiculed the green players like Captain Sarfraz, for being unable to speak fluent English at the press conferences while addressing the crowd of journalists and reporters. The 32-year-old actor stressed that it’s high time for the people of Pakistan to ‘get out of this colonial slave mindset’ and stop judging people by whether or not they were proficient in spoken English. He said that a cricketer’s job is not to be adept at any sort of language but only to be skilled at his game; hence if the people should have to criticize anything, they should keep it limited to the team’s performance on the ground and that was it. He also motivated the cricket team to not be discouraged in any sort of way or feel embarrassed by this situation and advised them to keep a translator for the future who could translate their sentences to the press as they answer the questions in Urdu, which is after all, Pakistan’s national as well as first language for the majority of the citizens that dwell here. Публикувахте от Hamza Ali Abbasi в 13 юни 2017 г. All in all, it can’t be denied that Hamza’s words do have a ring of truth in them. Also, our hearts go out with the Pakistan Cricket Team who good naturedly took in the mockery thrown at them and we wish them the very best of luck for today’s match. What are your thoughts on the video? Let us know in the comments!